Jitterbug! is the newest, longer, two-act version of the original award-winning play Once Upon A Time In Harlem: A Jitterbug Romance. Among other things, it has more characters, different music choices, and is annotated for hist﻿orical ﻿context and period slang. Please click here to buy. Size: 8.5" x 11" paperback with full color covers. Illustrated: Map of Harlem circa 1931 showing the places in the "dancical" where the story takes place. *Librarians, sign up for the account here. Free shipping is available if purchased through Amazon Prime. Back cover. Please click image to enlarge. 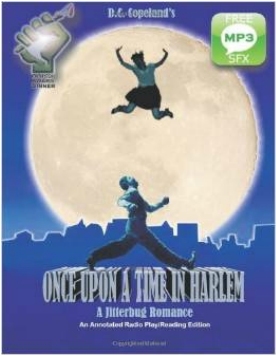 Once Upon A Time In Harlem: A Jitterbug Romance is the original RADIO PLAY version of Jitterbug! and is available as a paperback and an eBook. Winner of the Jaz Dorsey Fusion Award from the African American Playwright's Exchange (AAPEX). The "radio play" is shorter than Jitterbug! and is perfect for readings anywhere but it especially resonates in the high school and college classroom. 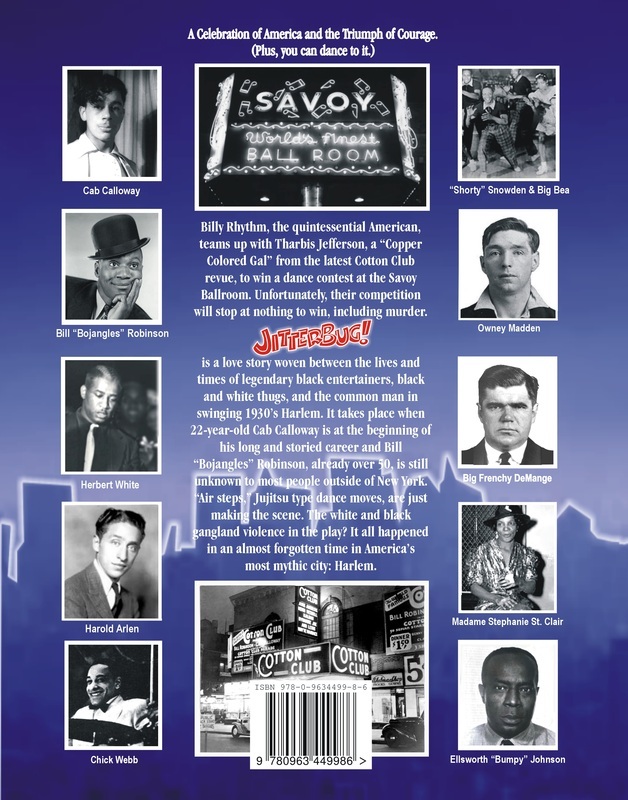 Written to be read/performed in one classroom period, this annotated edition includes historical references and period slang definitions, and a map of the actual long gone Harlem places mentioned in the play. Please click here to purchase the truncated Kindle "radio play" version. To enhance the reading, please download the free cued MP3 SFX file at the bottom of this page (not applicable to the Kindle version at this time).